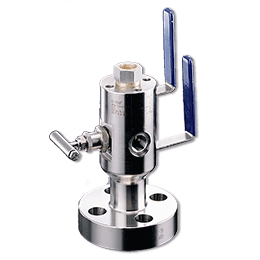 DK-LOK® Double Block & Bleed valves provide positive shut-off of fluids and gases under extreme service conditions. DK-LOK® DBB products are manufactured to customer specifications. Our Double Block & Bleed valves are available in an extensive range of designs, materials, sizes and pressure classes and are in full conformance with ASME, API and NACE specifications.